Thinking about catching some winter sun? Here’s an introduction to get you inspired to take your caravan or motorhome abroad. Where will 240 days of European cover take you and your caravan? Fresh from a 16-day caravanning adventure to the Arctic and back, we asked explorer Lee Davey where he could get to with 240 days of European cover with Caravan Guard. There’s so many places to explore off the mainland of the UK, so why not take a trip, touring the British Isles in your motorhome? Enjoy the British autumn touring in your caravan or motorhome! Why not enjoy the British autumn touring in your caravan or motorhome? Explore France this summer in your motorhome. We’ve got some great tips for places to visit and places to stay! 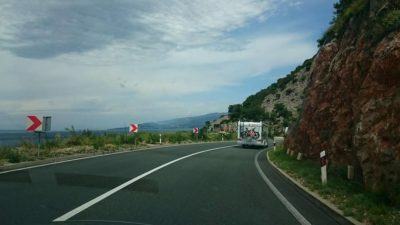 Ever fancied the idea of touring Spain in your caravan but not sure where to look or how to start planning your journey? Check out this month’s ultimate travel guide for key facts, stats and ideas on where to stay. Most innovative, most original, most economical…here are our top five motorhomes from Caravan Salon, Dusseldorf! ‘The Valley of the Kings’ is a beautiful part of France that’s proving increasingly popular with caravanners. With up to 240 days European cover available on our tourer insurance policy, what are you waiting for! The Lawns Caravan Extravaganza is almost here, this month, Caravan Guard heads to Beverly, just a few miles away from it’s site. Journalist Liz King walks us through the attractions that make Barnstable and Ilfracombe well worth visiting when you are in North Devon. Situated 5 miles east of Shrewsbury on the B4380 is the Roman city of Wroxeter (or ‘Viroconium’ as the Romans called it). Liz King steps into the pages of a favourite book when visiting the beautiful Ardeche area in the South of France. Liz and Dave King visited Annecy recently, a historic canaled town in the French Alps, and enjoyed the stunning sceneray, great local food and relaxed atmosphere of the lakes and surrounding areas.